I think bulls have the upper hand and will win the fight tomorrow. 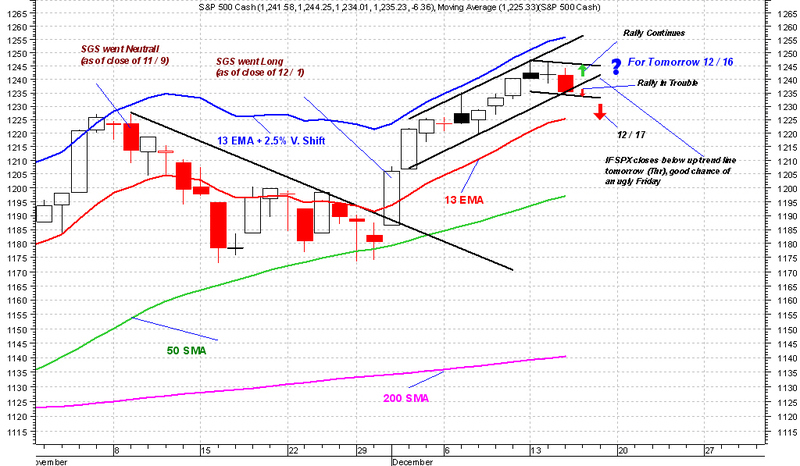 I expect SPX to bounce off it lower price channel line and resume its advance. 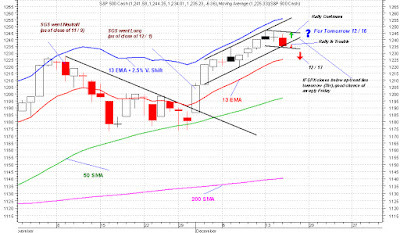 A close below that line, however, would be bearish which would very likely lead SPX to more selling on Friday.